Acupuncturists need websites. But they often don’t think they know enough about the web to understand what they can and can’t do. This book seeks to change that. Websites for acupuncturists explains technical web jargon. If offers examples of things practitioners need to know before setting up a website. If also offers practical advice to help clinicians decide whether they should hire it done or do it themselves. 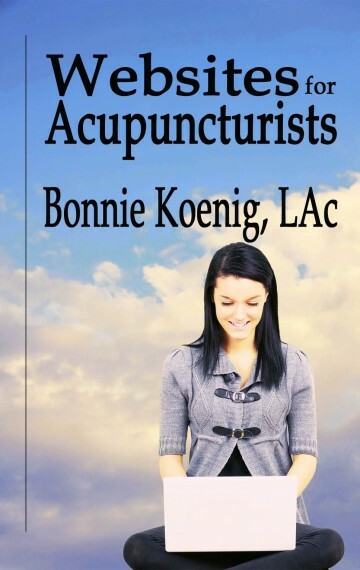 Websites for Acupuncturists is written by an acupuncturist and a webmaster. It’s a very basic well written book designed not as a how to, but as general information for decisions acupuncturists and other small business owners need to make when planning an online presence. Acupuncture school libraries, teachers and student groups with large orders, please see our discounts on the paperback edition here.